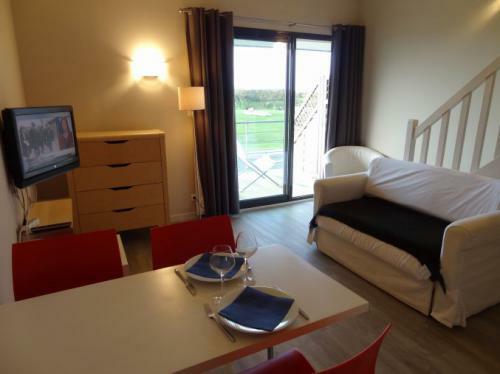 The 7 flats are located on the first floor of a the new Club House and offer excellent confort and tranquility. On the balcony, you benefit from a magnificent view on the golf course. The flats are located 3 km away from the wild sea cost and from the beaches. Shops are within 1 kilometer from the club house.